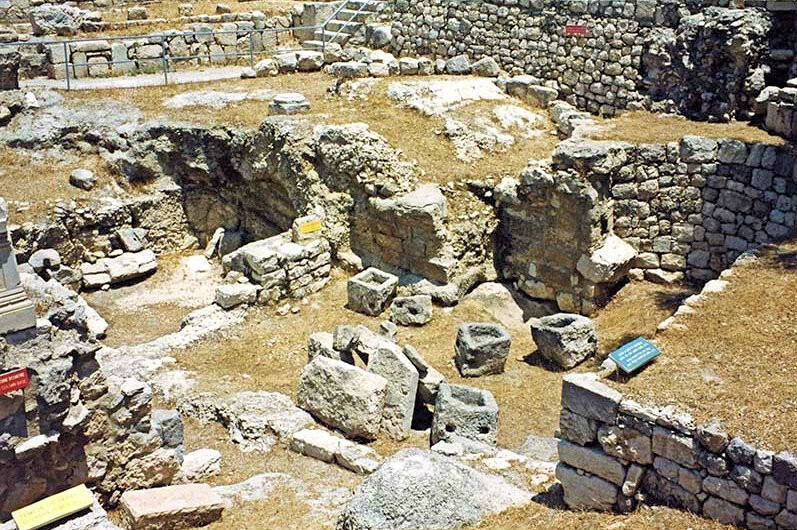 Next to St. Anne Church are the ruins of the Pools of Bethesda. 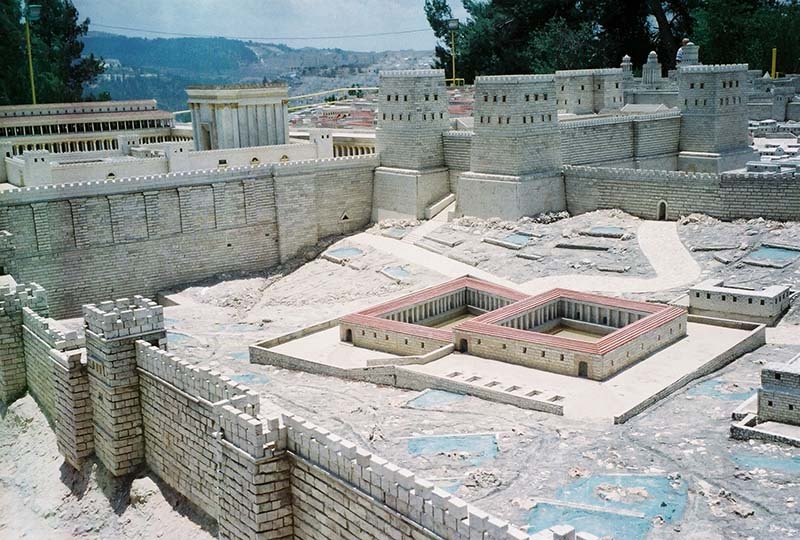 Below, the model shows where the Pools of Bethesda (square, red-roofed buildings) were located. Set up as Roman medicinal baths, they were a popular place of superstitious beliefs in healing located near the Temple Mount and Antonia Fortress. Jesus stopped here and showed that His power surpassed what the pagans believed: it was available to anyone, not just the one lucky person who jumped into the water first. 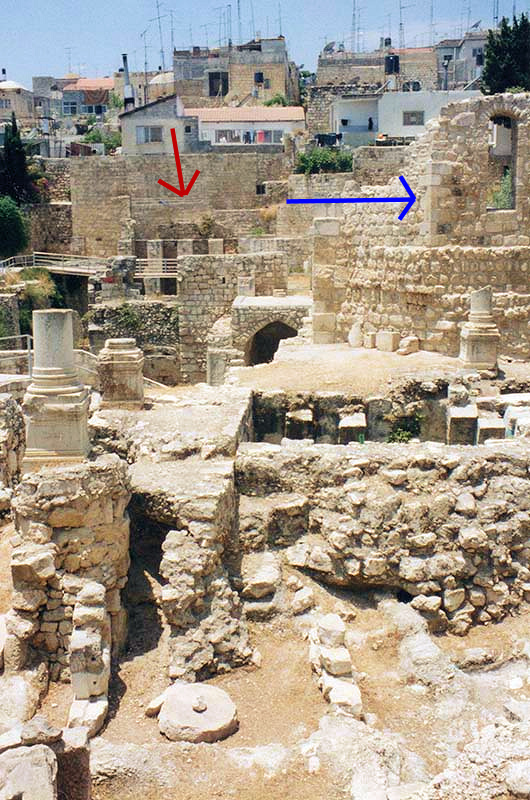 At the site today, you can see houses from modern Jerusalem, the ruins of a Byzantine church (red arrow) and a Crusaders church (blue arrow). Notice the stumps of church columns. The remains of the pools are at the bottom of the photo.